Today is December 1st. not only does it mark the beginning of the last month of the year, it also marks the day that I can finally shave off this duster of a moustache. And I definitely mean duster. People who know me will attest to that. Anywho – let’s get on to business. There are 10 games in the NHL’s main DFS slate tonight, so lots of players to choose from. I’m going to share with you all today one of my lineups, like I’ve been doing for the past week. Eventually I’m going to get into DFS rankings. For now, I’ll just be building lineups. Here we go – my December 1st Draftkings GPP lineup. 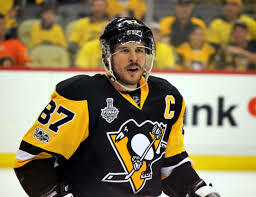 Crosby loves the rivalry games between the Penguins and their cross-state rivals, the Philadelphia Flyers. Through 68 career games against the Flyers, Sid has put up 93 points. It also doesn’t hurt that the Flyers are giving up over 3.5 goals per game. I can expect this game to be high scoring as both teams have struggled defensively. We all know the Pens love playing in high scoring games as their offence can heat up in a hurry. Who? Colby Cave? Who is this guy? With Patrice Bergeron out with an injury, Cave is filling in his spot between none other than Brad Marchand and David Pastrnak on the Bruins’ first line. At his super cheap price, Cave could get you some points playing with the Marchand/Pastrnak duo, who are averaging over 4.5 DK fantasy points per game between the two of them. Cave will likely be the only Bruin I go with in any of my lineups as Jimmy Howard (likely to start) has been playing solid hockey over the last few weeks. Keller is coming in at a great price tonight, which will allow me to pay up for some Blue Jackets in a game I think will be high scoring. Keller has two goals in his last 3 games and is averaging over 18 minutes of ice time this season. It also helps that he plays on the team’s #1 PP unit and first line against the struggling Blues tonight at home, in Glendale. As mentioned above, I am totally expected this game to be high scoring and for it to definitely exceed the Vegas over/under total of 6.0. Atkinson is averaging a goal per game over his last 10 games and added 5 assists to go along with those goals. I’ll also be adding a couple more Blue Jackets to this lineup for tonight. Smith collected two assists in Thursday’s game in Vancouver, including one shorthanded. Smith is a point-per-game in his last 10 games and the Golden Knights offence has been clipping. If I’m paying up for a Defenseman, there’s probably a reason for it. I never like to pay up, but I truly see this game being high-scoring and I want as much exposure to it as I can get. Jones takes over two shots per game and has high potential to tally a couple points tonight in Uniondale. Murray is coming in at an excellent price as he the Blue Jackets prepare to face the Isanders. Murray is averaging more than 21 minutes of ice time per game this season and has some potential for a point tonight. Hill may be a little on the highly owned side of things for his matchup against the Blues tonight, but he is coming off a stellar 29 save shutout over the red hot Nashville Predators Thursday night. He now faces the lowly Blues, the last place team in the Central Division. Kapanen has slowed down as of late but is looking to bounce back tonight in Minnesota. Kapanen was able to collect an assist in Thursday’s game while only logging 13.5 minutes of ice time, almost 3 minutes less than his average. Kapanen is a good price for someone who plays on Auston Matthews’ wing and should be rostered tonight as I am predicting lower-than-usual ownership of him tonight. This is simply my opinion and you are not guaranteed to win if you are following this advice. Remember: DFS is gambling. Know your limit, play within it.